Korean pre-wedding photos have become hugely popular in recent years where couples can take photos in studios with lovely Korean style props and backgrounds. 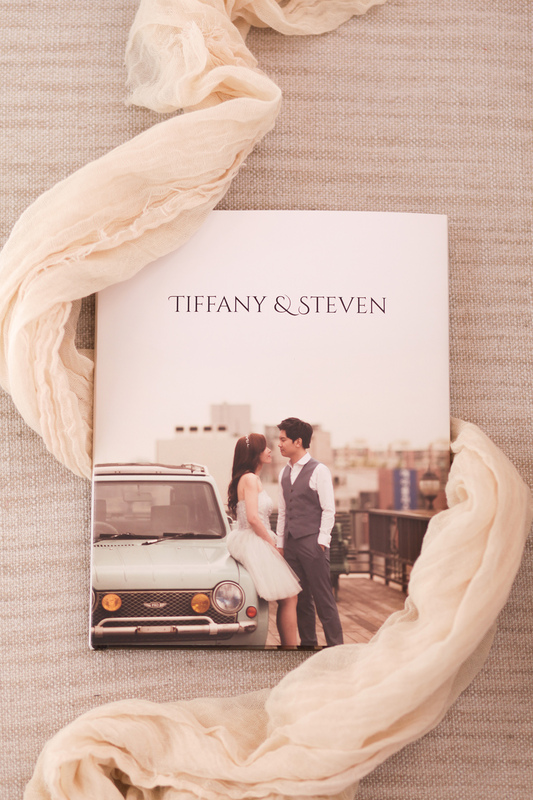 Read on to know more about what Tiffany & Steven like about their photoshoot and why it's good to print it into a photobook. TinTin: We love your wedding photos! Especially the cover as it look just like a scene from a love story movie. Can you share with us what attracts you in choosing this beautiful theme for your wedding photos? Tiffany: Thanks! 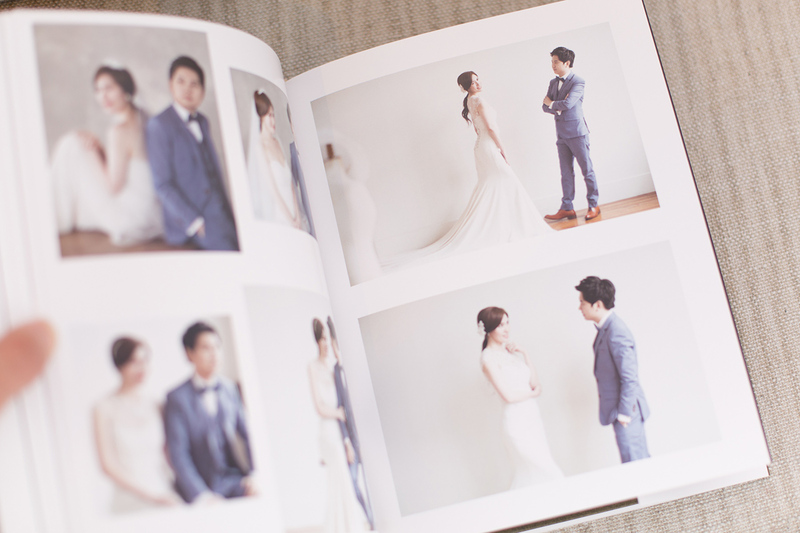 We choose this studio in Korea because we love how they can create this warm and romantic atmosphere. The props are nothing glamorous but yet matches very well in creating this natural theme that's not too distracting. It really helps in bringing the focus back to the mood/ interaction we share in these photographs. TinTin: Which is your favourite photograph out of them all and why's that? Tiffany: My favourite is the one I have my arms wrap around my husband's neck. The first time seeing this image I was really touched because it's like announcing we're getting marry soon. 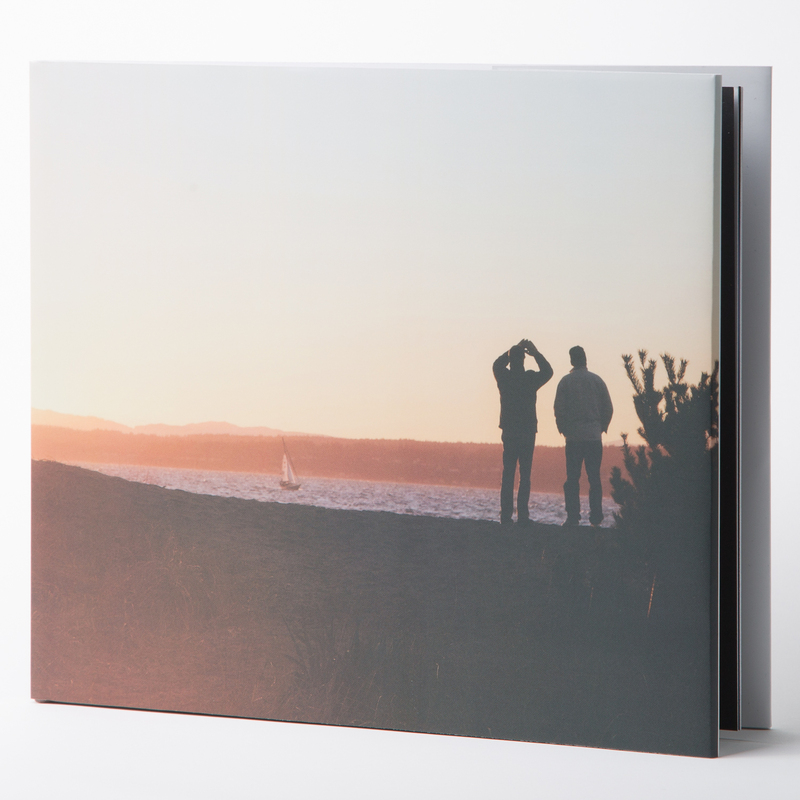 TinTin: It's easy to just leave the photos for viewing on screen but why is it important for you to have it printed into a photobook? Tiffany: To me it's a totally different experience. On Screen, you can see them clearly one by one and will tend to look at them as pretty or not. 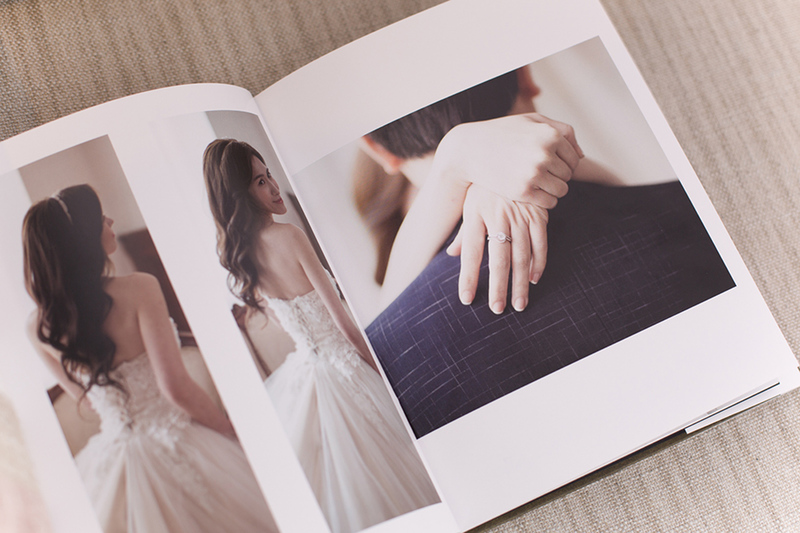 In a photobook, you'll get to enjoy the photos more as you flip through page by page and it's a good way to share with others on your wedding. That feeling of holding the photos in your hands makes it so much more real. 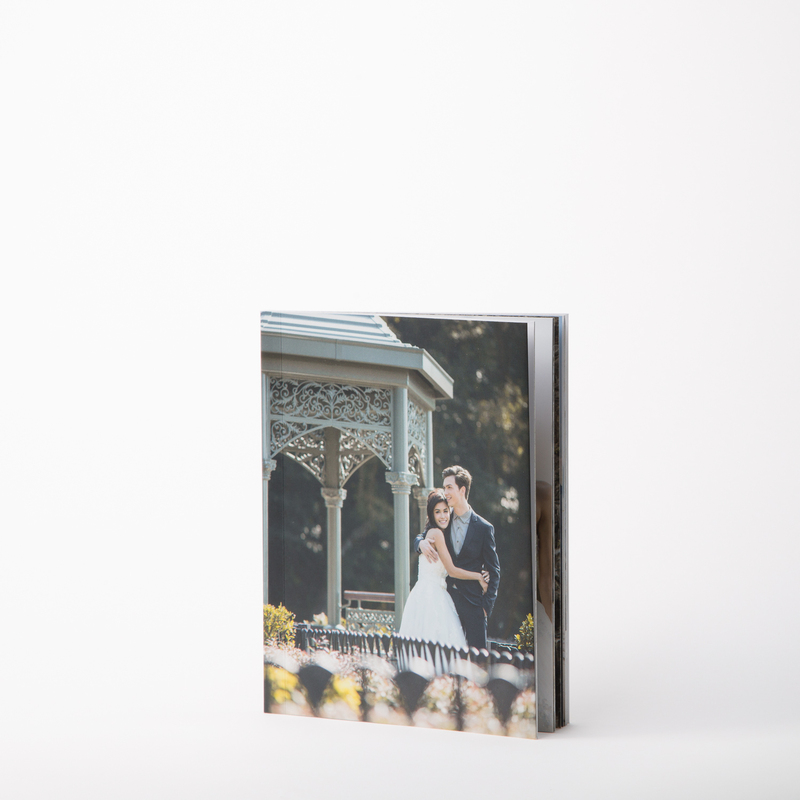 TinTin: What tips would you give to someone who is also interested in creating their own wedding photobooks? Tiffany: At first I was struggling with what to write/say in the photobook. Then I realize that just arranging the photos nicely is already enough. So if there's nothing important to write then just don't force it and leaving them out is fine. 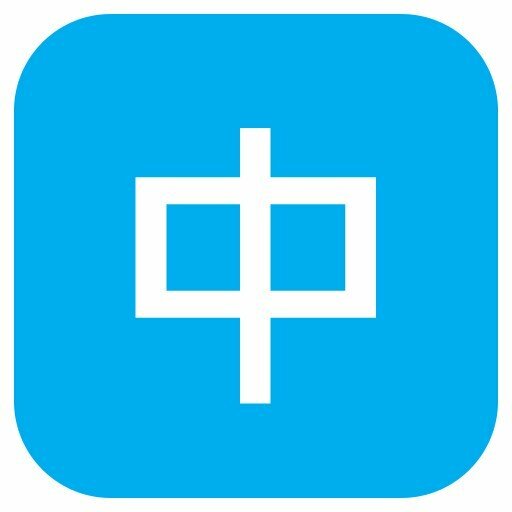 TinTin: For your next photobook project, what photos will you be printing? Tiffany: Well, for our next photobook we'll like to make one of us from growing up to getting married and give it to our parents. I think it'll be very meaningful in thanking them for raising us.